SOCHI, November 21. /TASS/. The Russian troops have received 3,400 latest weapon systems as part of the 2017 defense procurement program, Russia’s President Vladimir Putin said while opening a meeting with the country’s top brass and defense industry executives on Tuesday. "At a meeting with you here in Sochi in May, we discussed the basic parameters of the state defense order in detail," Putin said. "As part of the assignments already fulfilled, the troops have received over 3,400 basic types of the most advanced and modernized armament," the Russian president said. The new armaments include 16 combat ships and vessels, 190 advanced aircraft and helicopters, 800 tanks and armored fighting vehicles, 170 air defense missile systems and complexes and 1,950 multipurpose vehicles, Putin said. 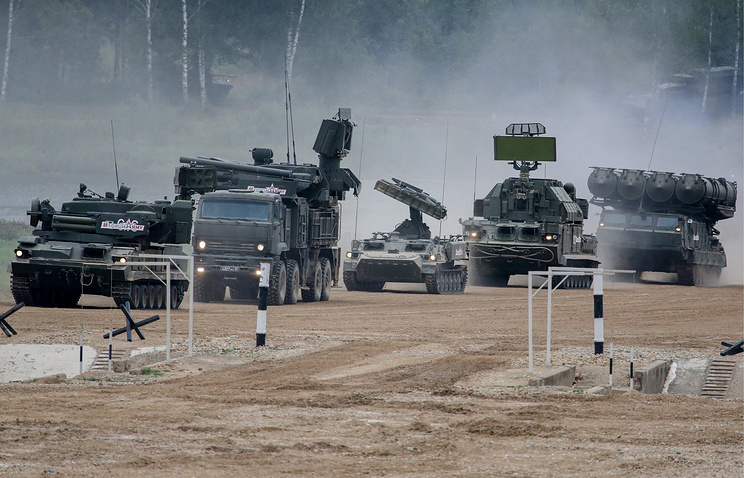 Defense specialists also carried out planned maintenance of the basic armament and military hardware directly in the troops, the Russian president added. These measures will help bring up the share of modern weapon systems and military equipment in constant alert forces to almost 60% by late 2017, Putin noted. As the Russian president stressed, many weapon systems have proven their worth in Russia’s counter-terror operation in Syria. "The work in a combat environment confirmed the high characteristics of Russian weapons and their traditional advantage - the simplicity of their operation and the reliability of their use," the head of state said, adding that some foreign partners had expressed their interest in acquiring Russia-made armament and military hardware and expanding military and technical cooperation with Russia. "We need to thoroughly study and use the practical experience of using our weapon systems and, of course, to foster positive trends in state defense order planning, placement and fulfillment and to ensure that all the links in this interrelated system should work efficiently and coherently," the Russian president said.